All Grain Extra Special/Strong Bitter (English Pale Ale) homebrew recipe. 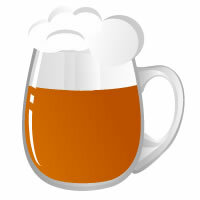 This homebrew recipe uses the following ingredients: Chateau Pale Ale - BE, Chateau Pilsen 6RW - BE, Chateau CaraGold - BE, Chateau CaraRuby - BE, Chateau Arome - BE, Northern Brewer Hops, Target Hops, Mangrove Jack' British Ale M07 Homebrew Yeast. This recipe was cloned from Hasburgo.